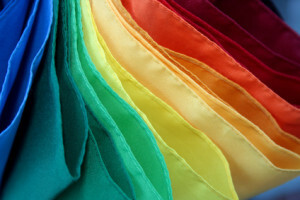 Our page dedicated to colour analysis and shopping with your best colours in mind! This page is best viewed on mobile devices in landscape mode. Carol Brailey has taken the shopping guesswork out for you by sourcing some great colour analysis products. The links on this page will forward you to the appropriate vendor to view / purchase. Keep checking back as this page is currently under development / will be consistently updated. COMING ONE DAY (Carol’s Longer Term Vision)! Plus Much More… Stay Tuned! The Shopping My Colors mobile app is the perfect shopping companion for those who want to shop with their seasonal colour palette on their phone and/or those who want to explore the world of colour analysis and use colour analysis while shopping. Also included in the app are hair, makeup and accessory colour recommendations for each seasonal colour palette. The app follows the colour analysis system Carol uses as taught by the International Image Institute (10 colour palettes using a 16 season system – 4 seasons with 4 flow options for each season). The app is compatible with Android (v4.4.2 devices and up) and Apple devices (iOS 8 and up). Click here to read more details on the app. Please note: the app does not perform colour analysis services. If you are interested in only having colours of one colour season to reference on your phone, we recommend also reviewing our colour strip JPG downloads below. Click this link to scroll down this page to read additional terms and conditions for the app and any currently active technical notices for the app. Note: As of October 2, 2018 we have started charging a small fee for this app. 3) Access through website on your phone ($5 CAD plus HST if applicable): Don’t want to download the Shopping My Colors app through iTunes, Google Play and/or don’t want to use space on your phone for the app? Our web browser edition is a perfect option for you! This is the exact same app as available through iTunes and Google Play only you will access the app through a website link we will send you to use through your web browser on your phone. Works for phones Android 4.4.2 and up and iOS 8 and up. All payments for this option are processed by PayPal and you will automatically instantly be sent a link to the site as soon as you process your payment. By clicking on any button above, you acknowledge you have read and accepted all of the App’s Terms, Conditions, Technical Updates and Other Info noted below. 1. This app does not perform colour analysis services and we do not support queries from users of the app around the colour analysis process or the specifics behind the colour palettes — if you would like these details, we recommend viewing our services at virtualcoloranalysis.com or viewing videos on Carol’s YouTube Channel or enrolling in Carol’s online course below or seeking other colour analysis training listed on our Image Consulting Training Page. 2. All sample colours in the app are just that, sample colours for each palette as defined by the International Image Institute. Each sample colour strip in the app contains approximately 30 or more references for each palette. 3. We offer no refunds on app downloads — please review the full description of the app above to ensure it meets your needs/wants before downloading. 4. We offer no technical support around how to navigate within the app on your phone. By downloading you acknowledge that you know how to use and/or navigate within phone apps. 5. We offer no guarantees on how the colours will translate to your phone screen. While they should translate quite accurately for most screens, we have no control on your phone setup. 6. Carol Brailey (2319114 Ontario Ltd.) disclaims any liability for your reliance on any opinions or advice contained within the app. 7. All contents of the app are copyrighted. Copyright © Carol Brailey (2319114 Ontario Ltd.). All Rights Reserved. 8. If purchasing the website link version: Carol Brailey (2319114 Ontario Ltd.) does not provide replacement links to purchasers in the event the link is lost or a phone is damaged etc. We recommend saving the link address to a ‘safe place’. Your email address will receive the link to access the website version instantly after payment – in the body of the email is the link to save. You agree this link is for your personal use and is not to be shared online or anywhere else etc. If wanting to make the colour strips in each colour palette menu option full screen, you will just need to click down on the strip for a few seconds and a pop up menu will appear – select the ‘download link’ option. Technical Update(s): There are no known technical issues at this point in time. On Feb.6, 2019 version 4.1 went live in the App Store to correct an issue impacting some users of iOS 12.1.3. All should be working fine now. 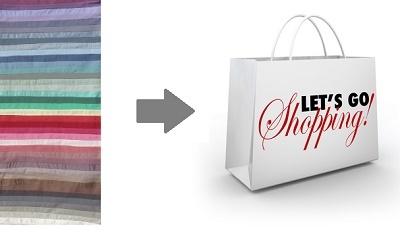 These colour strip downloads are the perfect shopping companion for those who already know their colour palette and would like a JPG colour strip to reference on their phone while shopping for clothing, gemstones and/or makeup. 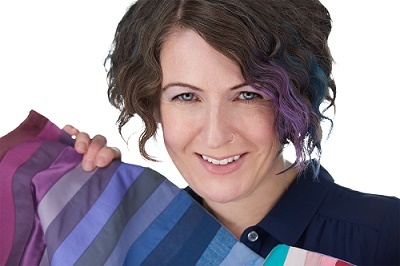 These strips follow the colour analysis system Carol uses as taught by the International Image Institute (10 colour palettes using a 16 season system – 4 seasons with 4 flow options for each season) and are the same strips included in the Shopping My Colors App for each palette. Please note: each strip once downloaded has a watermark copyright text on it for copyright purposes. To purchase a strip, please visit our shop on E-Junkie at this link (scroll down the page in link to view all strips available). All payments on E-Junkie are processed on PayPal. Once your payment is processed, an email will be sent to you instantly that will include the JPG file download. By purchasing any of the strips on E-Junkie, you acknowledge you have read and accepted all of the Terms, Conditions, Technical Updates and Other Info noted below. 1. We do not support queries from users of these strips around the colour analysis process or the specifics behind the colour palettes — if you would like these details, we recommend viewing our services at virtualcoloranalysis.com or viewing videos on Carol’s YouTube Channel or enrolling in Carol’s online course below or seeking other colour analysis training listed on our Image Consulting Training Page. 2. All sample colours in the strips are just that, sample colours for each palette as defined by the International Image Institute. Each sample colour strip contains approximately 30 to 40 references for each palette. 3. We offer no refunds on colour strip downloads — please review the full description of each colour strip before purchasing/downloading to ensure it meets your needs/wants. 4. We offer no technical support around how to download the JPG(s) to your phone and manipulate it on phone software (if applicable). You will be sent a link to download the file and it is expected you will know what to do with it upon clicking the link. 5. We offer no guarantees on how the colours will translate to your phone screen. While they should translate quite accurately for most screens, we have no control on your phone setup. It is not recommended to print the colour strips as colour variations are likely when printing. 6. Carol Brailey (2319114 Ontario Ltd.) disclaims any liability for your reliance on any opinions or advice contained on the strips. 7. All contents of the strips are copyrighted. Copyright © Carol Brailey (2319114 Ontario Ltd.). All Rights Reserved. and if purchasing, you agree they are for your personal use only for your phone (not to be shared anywhere online). 8. Carol Brailey (2319114 Ontario Ltd.) does not provide replacement JPG files to purchasers in the event a file is lost or a phone is damaged etc. 9. Your email address will receive the link to download and will expire after 120 hours or after 5 download attempts (whichever comes first). Carol reveals her 5 Recommended DIY Colour Analysis Steps through step-by-step workshop videos, online colour test tools and online community to guide you through your own DIY Colour Analysis. These steps along with details about how an eye pattern can reveal your seasonal colour palette will never be revealed on our YouTube Channel. Perfect for the Do-It-Yourself or Self Colour Analyzer and/or if you want to use colour analysis to help your clients reveal their best hair, makeup, clothing and accessory colours (e.g. hairstylists, makeup artists, opticians, etc.). Click this link to view and purchase colour analysis products and tools from the International Image Institute. Includes seasonal colour swatch wallets and strips. All products are shipped worldwide from Toronto, Canada. Click this link to view and purchase makeup and colour fans from Color Me Beautiful. Once you arrive at the above site, click “Seasons” in the menu and choose your colour season to shop for. We love this site as it has made your makeup shopping experience so easy by colour palette! 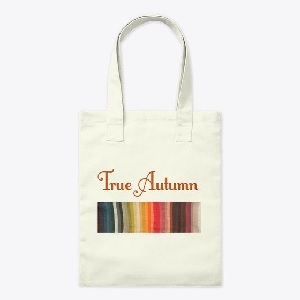 Click this link to view and purchase the tote bags on Teespring.